As a top new Subaru and used car dealer in the Norwalk area, Garavel Subaru’s parts department maintains a comprehensive inventory of Subaru parts and accessories. 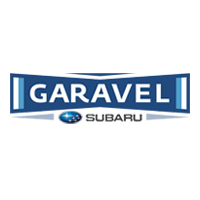 Located at 10 Tindall Ave, Norwalk, CT 06851, Garavel Subaru takes pride in its knowledgeable and dedicated parts team. Get your Subaru auto parts in Norwalk by visiting us today. If visiting Garavel Subaru in person doesn’t fit your busy schedule, just complete our online car parts order form and a Subaru auto parts specialist will contact you ASAP. Garavel Subaru is an excellent online source for Subaru car, truck and SUV parts and accessories. We also have one of the top Norwalk Subaru car repair centers with professionally certified mechanics who get your job done quickly and correctly. Make a service appointment online at our Norwalk Subaru dealership today! Please use the buttons below to order parts or contact our parts department. We can be reached by phone at 203-642-0615.